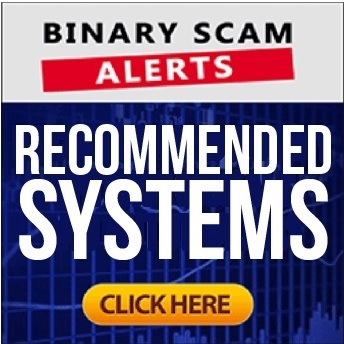 Zenith Options is a dirty binary options scam broker of the lowest level. It’s come to my attention that there is a very strong connection between Zenith Options, Option-orbit, safe24options, and Binary Options Live Signals. The three brokers are using BOLS as a kind of affiliate network to recruit innocent unsuspecting victims into a very sophisticated fraud. The victims are attracted by false advertising techniques into a signals website where promises of infinite wealth and prosperity are made to them. Once they register for the service, they are required to provide their Skype address, and that is where the con job begins. Once communication and trust is established, fraudulent documentation is provided as proof of success, and due to the aggressive nature of the scam people fall for it. It’s difficult to understand, let alone explain how a hoard of bloodthirsty scavengers target people in such an appalling manner. I was even told by one of my subscribers that these crooks actually asked for his credit card information, and offered to fund the account for him. That’s credit card fraud and these people risk getting sentenced to several years in a federal prison and hefty fines if caught. If you go to the BBB scamtracker website and search for Zenith Options you will see the whole picture. Zenith and Option-Orbit are acting in cahoots with BOLS to defraud innocent would-be traders in what is an obvious investment scam. In fact, it would not surprise me at all if BOLS is owned by these two scam brokers. Well, if the broker does not have ample exposure it means the people behind it are not interested in publishing it to the public. In most cases they are using it as their private little cash cow and defrauding people left and right without the slightest trace of guilt or remorse. People who have an honest business want the maximum amount of exposure and are willing to pay for it, and if you don’t see reviews and online presence take a step back and start asking difficult questions. Well, if you want a refund you can always contact us at [email protected], and we will act as intermediaries to retrieve your lost funds. If all else fails our team will use the services of a London-Based attorney at law, and he will send a letter to the culprits. Well, it’s not your fault and if seasoned businessmen and college professors fell victim to these kind of trap, then you can pretty much bet your bottom dollar these guys a professional con artists with an impressive track record. Additionally, I would not be surprised if they have some type of criminal record and are wanted by the police. The first step is to understand that the broker will not contact you directly in most cases, unless it’s a display add or press release. Affiliate marketers with some type of means to deliver spam messages will be the ones acting as proxies and getting commission when a deposit is made. It’s best to get started reading my 10 point E-book and if you would like to get started with a signals demo account message me by leaving a message at the bottom of the post.